I will miss the wigs. I will miss the Flintstone-size telephones and those upright glass coffins known as phone booths. I will miss Pastor Tim’s grooviness, Kimmy’s cluelessness, Philip’s EST-iness, and Stan’s facial tic-iness. I will miss Elizabeth’s mom jeans, Paige’s pout face, and Claudia’s history lessons. And yes, indeed, I will miss Mail Robot, with its boxy Roomba moves. But, of course, I will miss the finely drawn drama of “The Americans” most of all, much more than the kitsch and the 1980s period detail. It sometimes seems a little odd when you get misty over the end of a TV show — even if you’re a professional TV critic. The characters, obviously, aren’t real. 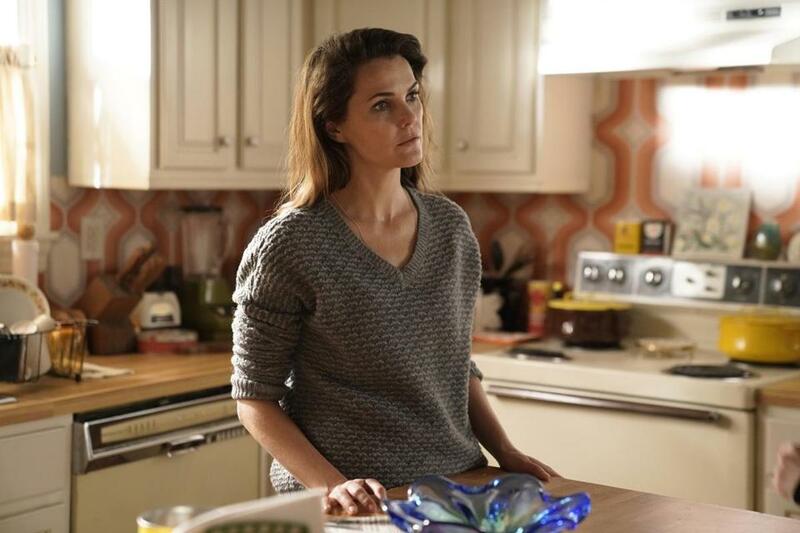 But as we get drawn into a vibrant weekly story, told with the kind of emotional crests, family intricacies, intense performances, and twisty intrigues that defined “The Americans,” it’s easy to feel attached. As the FX show prepares to leave the air on Wednesday after six seasons, I know I’ll miss my annual winter-spring weeks with the Jenningses. Yup, my abandonment issues are about to kick in. One of the best attractions of “The Americans” was the marriage at its center. I loved the way the showrunners, Joe Weisberg and Joel Fields, cleverly — but always naturally — paralleled and intertwined Philip and Elizabeth’s marriage and spy work. This couple didn’t struggle with infidelity or the division of chores; they struggled with uneven loyalties — to the motherland, to the KGB, and, as we approach the series finale, to Soviet leader Mikhail Gorbachev. Elizabeth was, from the start, fully dedicated to the fight, and her commitment to her undercover work proved it. On the other hand, Philip was increasingly tempted by America, by its luxuries and freedoms, which disgusted Elizabeth. After periods of remorse over collateral damage, he finally gave up espionage to run his travel agency. Alas, in one of the show’s many cool ironies, Philip bowed to a capitalist system that, given the dire state of Dupont Circle Travel, denied him success. The marriage between Philip and Elizabeth, played indelibly by Matthew Rhys and Keri Russell, remained rocky for most of the show’s run, and therefore riveting. At one point early in the series they separated. They had a fierce disagreement about whether to bring their daughter, Paige, into the spy business, as their KGB bigwigs wanted. And really, for over a decade they lived together, and had two children, all for the sake of their jobs. But the romance crept into their arranged marriage, and I often rooted for them to make it. They were alone together, two people lured from their homes and thrown into a strange country, with only the other person nearby in on the secret. They were actors, in a way, as undercover spies, but they rarely had respite from their performances. When they told Paige the truth about their work, I should have been sad; her innocence was ruined and her life would never be the same. But in truth, I was relieved that Elizabeth and Philip finally had a comrade at home, that maybe that would help cement their connection. Like most fans, I’m wondering who will live in the season finale, and who will die; who will get caught, and who will get away; and who will wind up in Russia and who will remain in America. Also, what about Philip’s son, Mischa? Will he find his father? But I’m wondering just as much whether Elizabeth and Philip will survive as a couple. Along the way, throughout the Jenningses’ ups and downs, the “Americans” writers have done a nice job of exploring other related storylines, expanding the world of the show. I’m thinking of the Martha plot, which was remarkable — moving, funny, scary, and, in the end, a kind of existential nightmare. Martha was fully developed, with the help of a captivating turn by Alison Wright, and I found myself writhing with uneasiness at the way Philip used her. It didn’t make it any less painful knowing that Philip, too, was writhing with unease. I’m thinking of the Paige plot, which was handled perfectly, as she incrementally, through a series of revelations, learned the truth. Holly Taylor did a marvelous job of portraying a mature kid struggling with some very strange and unexpected information, and she also made Paige’s decision to join her mother believable. We knew Paige was capable of intense religious faith, as she bonded so tightly to Pastor Tim (another rich subplot), so her shift ultimately made sense. Like her mother, Paige was a diehard loyalist looking for a cause. And I’m thinking of every plot having to do with Stan Beeman, one of TV’s most layered FBI agents. His tacit bond with co-worker Dennis Aderholt, his affection for Henry Jennings, his buddy friendship with Philip, his love of Nina — Stan was one of the show’s most sympathetic characters, despite his flaws and mistakes, and that’s largely thanks to the under-acknowledged work of Noah Emmerich. The Emmys did finally come around on “The Americans,” after ignoring it for years, with a nod for best drama and nominations for Rhys, Russell, Wright, and a few others. But Emmerich deserved love, too, as well as Taylor. Their work was subtle and emotionally honest. As “The Americans” ends, it has gained a huge bump from the news. The Reagan-era history in the show, which is so important to the plot right now, was always of great interest. But the accidental political relevance of “The Americans,” with our renewed tensions with Russia, has been breathtaking. When the show premiered in 2013, few might have anticipated our current suspicions of election-meddling and the possibilities of collusion. Now, with our crash education in election hacking and weaponized media, the show has taken on an enormous amount of added weight. Now, you can’t watch without the sense that the Jenningses’ spirit is still somehow alive here, that the chill isn’t gone.